This entry was posted in Movement Building & Support on July 23, 2016 by Deep Green Resistance Chicago. Deep Green Resistance Chicago Seeking Activists. You can make resistance a reality by volunteering your time and talents with Deep Green Resistance Chicago. Work locally to foster above ground resistance to a culture that is sociopathic in its on-going war against all life on Earth. Use your unique gifts to engage with others to help build a society that is both just and sustainable. Please know that sustainable is not a catchword in Deep Green Resistance. Sustainable is a word that describes specific practices that heal the planet – not a marketing tool that puts a green coat of paint on a biohazard. Deep Green Resistance Chicago has projects that require the assistance of volunteers. If you are an activist, or would like to become active in defending what is left of our living planet, we want to work with you! Whatever your strengths, we need your help. And, we need it NOW! This entry was posted in Movement Building & Support and tagged Deep Green Resistance on July 25, 2014 by Deep Green Resistance Chicago. 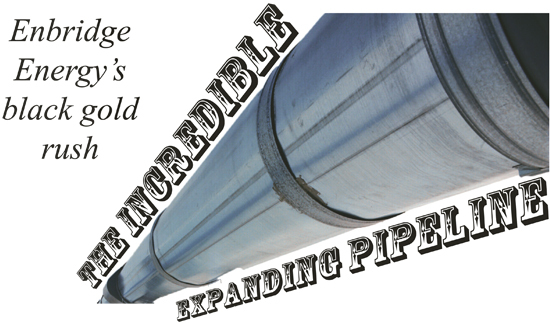 Writer Carl Sack has written a great piece revealing the history of Pipeline 61, arguably more destructive and threatening than the Keystone XL. As this pipeline courses through Wisconsin and ends in Illinois, we hope people will become aware of the threat it poses to communities along it’s path. Please check out this powerful story by Carl. This entry was posted in Mining & Drilling and tagged Illinois, Pipelines, Wisconsin on July 20, 2014 by Deep Green Resistance Chicago. 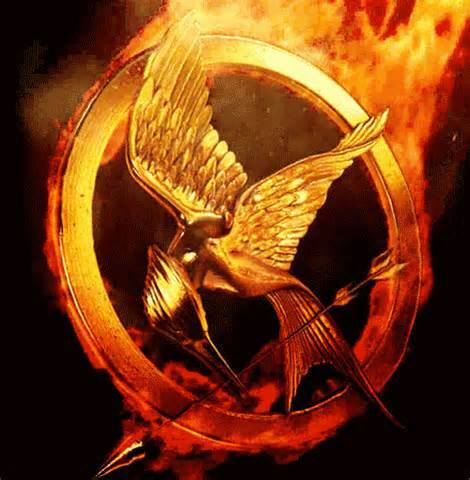 Reading and Resistance: A Deep Green Resistance exploration of Mockingjay, Hunger Games, and Resistance. What are the lessons? This is the first of Deep Green Resistance Chicago’s new Reading and Resistance series. Mockingjay, the third book in the Hunger Games trilogy by Suzanne Collins, presents a compelling look at Katniss and the underground resistance revolting against overwhelming odds. Members of Deep Green Resistance Chicago and participants will explore questions about this charged novel. What would the rebels think about our culture? Are we so different than Katniss and her crew? Do we have the courage necessary to imagine a serious rebellion? Perhaps revolution is unthinkable in our highly surveilled culture, or is it really not only possible, but necessary? The book Mockingjay has been out since 2010, so by all means, read the book, prior to the event, and if you haven’t, this is a spoiler alert. We hope you can come, and bring your most fertile and rebellious imagination. This entry was posted on July 19, 2014 by Norris Thomlinson. On Thursday July 10th, there was a protest against the fact that trains carrying Bakkan tar sands “oil” are finding their way through the Pilsen neighborhood of Chicago. This protest was organized by Debra Michaud of Tar Sands Free Midwest. The protesters were there because of their concern that an explosive train derailment could devastate the the Pilsen neighborhood where these trains regularly pass through. Some say as many as three times a day these trains pass within Chicago proper. There is also concern that the Chicago’s Fire Department may not be up to the task of handling an explosive derailment situation. Additionally, there is great concern that the tanker cars involved are not nearly as secure as one would expect. It has been recommended that the tanker cars being used be replaced, but that is unlikely to happen in the near future. Though the protesters were small in number, there has been a bit of press about the gathering. This entry was posted in Protests & Symbolic Acts, Toxification and tagged Chicago, Rail, Tar sands on July 13, 2014 by Deep Green Resistance Chicago. Deep Green Resistance rejects the idea that everything will be fine in the future if we just let those in charge keep doing what they are doing. We are looking for real solutions to real problems. Solutions that can’t be made to fit in our cookie cutter culture. The purpose of this meeting is to introduce and share the analysis and strategy that Deep Green Resistance has for a liberated future. One primary idea of our analysis is that our culture is killing itself, is fundamentally flawed, and needs to be stopped. Period. There will be a short presentation and DGR Chicago members will be available to answer questions about DGR in general, and DGR Chicago. This entry was posted on July 12, 2014 by Norris Thomlinson. Contrary to the words of Governor Quinn during his recent address, Illinois is in a state of disaster. Quinn mentions extreme weather – but not climate change. Illinois residents have experienced the coldest winter in more than 30 years. This is the result of unusually high Pacific Ocean temperatures caused by global climate change. It was this shift in ocean temperatures that disrupted the “polar vortex” and plunged the country into an arctic winter. And yet, the state legislature has disregarded the populace’s concern for the global climate by proposing legislation that would allow large-scale hydrofracturing in Southern Illinois. Fracking: Another step in the death march towards an atmosphere resembling Venus. This would also result in the contamination of drinking and irrigation water (See the Governor’s Clean Water Initiative below), as well as the destruction of precious natural habitats, such as those located around Starved Rock State Park, where mining companies are planning to extract sand for fracking operations. Considering that fracking is known to cause seismic activity, and that Illinois has more nuclear reactors than any other state, maybe we should stop to think if we really want to be the next in line after Fukushima for an on-going nuclear disaster? Despite almost universal disapproval of fracking at Illinois Department of Natural Resources’ public hearings, the agency has already decided to work in the service of corporations instead of the the Illinois people or whatever small fragments of uncontaminated nature remain in this state. This is not particularly surprising. Illinois has a history as one of the most corrupt states in the nation, and now is no exception. With one former governor in jail, another on the way, and former Chicago Alderman Ambrosio Medrano having just been sentenced to 10 ½ years for accepting bribes, is there really any reason to suspect Gov. Quinn is any different? Quinn mentions Illinois’ planned investment in a “bio-hub for pharmaceutical, medical device, and health IT start-ups.” Whatever that actually means, he obviously is more concerned with its ability to “drive economic growth” than to facilitate some kind of medical care. In fact, a study just ranked Illinois the 45th in the nation for emergency medical treatment. It also ranked the Prairie State the 43rd state in the nation for disaster preparedness, giving the lie to the governor’s empty rhetoric concerning community resilience. Quinn has declared a disaster over an apparent shortage of propane in Illinois. How about the mercury and other toxins, approximately 20 times the legal limit, that British Petroleum is dumping into Lake Michigan, which serves as the drinking water for over 8.5 million people? Is that not a disaster? He talks of the need for a “sound infrastructure” to support economic growth. But he fails to mention the importance of the very land and water upon which we depend for existence, the biological infrastructure of life. He talks of investing over $1 billion into a Clean Water initiative, but is this anything but a distraction? Water does not actually require money to be free of toxic substances – it only needs to avoid contamination in the first place. But this would apparently be far too detrimental to the beloved, sacrosanct “economy” to find itself on his agenda. Quinn quotes the Bible, “Where there is no vision, the people perish.” What happens to the people when there is no potable water or uncontaminated food? Apparently this vision of which Gov. Quinn speaks is that emanating from the all-seeing eye on the back of a dollar bill, which can see nothing beyond the other bills stacked atop it. The empty platitudes and anecdotal pathos which constituted Quinn’s address were a clear attempt at political hypnosis, seeking to lull its audience to sleep with words completely devoid of meaning or a coherent relationship with reality. The only thing that the speech effectively did communicate was an utter disdain for its audience. But we are not as stupid as these politicians would have us believe. We do not need to accept their deranged vision of reality, according to which money, rather than a thriving biosphere, is the source of our sustenance. We do not need to accept their proclamations that people with enough money can buy the right to pump toxic substances into the earth, and further decimate the land within which we live. This ecocidal agenda is not inevitable. But if we are going to protect ourselves, our non-human companions, and the land of Illinois, we cannot allow these insane reversals of priority to go uncontested. With all of our love for the wild nature within and around us, we must fight! This entry was posted in Climate Change, Mining & Drilling, Toxification and tagged BP, DGR writing & analysis, Fracking, Illinois, Nuclear & uranium, Politicians, Water, 11: Civilization is a culture of occupation on February 2, 2014 by elizabethulion. Deep Green Resistance is a new movement growing in Chicago and around the world. It is an analysis, a strategy, and a movement being born, the only movement of its kind. As an aboveground movement, just now taking its first steps, Deep Green Resistance is based on this analysis and implementing this strategy. And, guess what, we’re recruiting. Meet us in the Logan Square park to talk about the DGR strategy, current campaigns, and how WE can support YOUR WORK in Chicago. This entry was posted on July 12, 2013 by Norris Thomlinson.